Bowling Green, Ky.— Oct. 30, 2017 — The Bowling Green Area Convention & Visitors Bureau has received five Traverse Awards for Excellence in Tourism Marketing from the Kentucky Travel Industry Association. 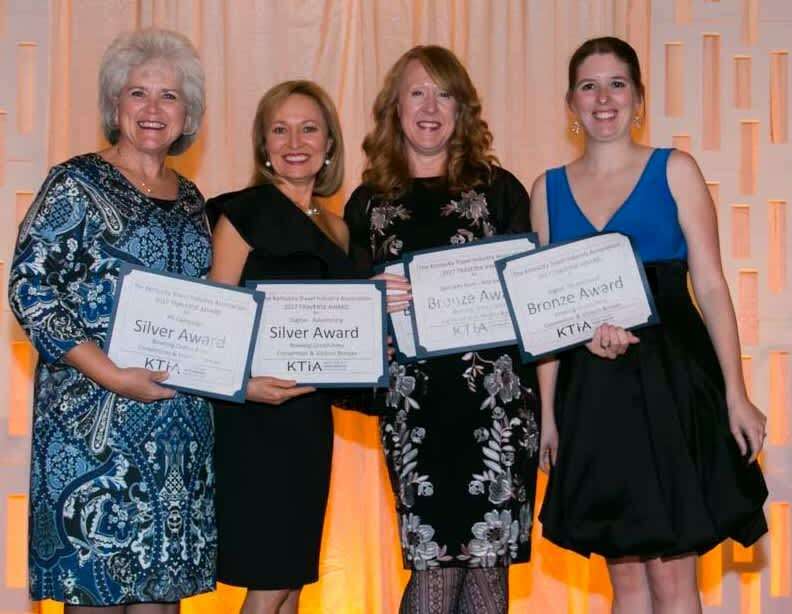 The awards were presented on Oct. 24 during the Traverse Gala Awards Dinner held at the Louisville Crowne Plaza as part of the 2017 Kentucky Travel Industry Annual Conference. The Bowling Green Area CVB received Silver Awards for its Macaroni Kid PR and Digital Advertising campaigns. 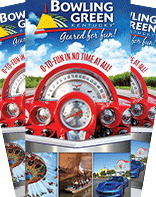 The CVB received Bronze Awards for Specialty Item-Not For Sale for its Geared For Hot Rods Hand Fan, PR Campaign for a radio promotion in six major markets and Digital-Promotional for the Visit Bowling Green App. Kentucky travel and tourism businesses and marketing organizations vie for Traverse Awards in 16 categories during the annual competition. The Traverse panel of judges consists of marketing, public relations and tourism experts whose work is conducted outside Kentucky. Award criteria include concept, creativity, design and impact. Nearly 225 entries were submitted from throughout Kentucky for the 2017 competition. The Kentucky Travel Industry Association represents all segments of Kentucky’s $14.5 billion tourism industry. The industry supports 193,000 Kentucky jobs and generates $1.52 billion in local and state tax revenue. The 800-member association engages in advocacy and provides its members with education, information and business development opportunities. The association also works to inform the public of the enormous economic, employment and tax revenue contributions tourism makes to Kentucky.